Aluminum foil, plastic flower pots and trays, tissue boxes, and more. Provided that they?re rinsed and clean, did you know that these items belong in your recyclable bins? As surprising as it is to hear, in 2018 a significant number of Westchester residents do not bother sorting their trash. While Rye is heralded as a recycling leader in the county, the 2010 Solid Waste Management Plan Update estimates that up to 45.8 percent of Westchester County?s Municipal Solid Waste (i.e. everyday residential garbage) is comprised of recyclable material. This figure represents a valuable lost resource as our trash ends up being carted to the Charles Point Resource Recovery Facility in Peekskill, where it is incinerated in a waste-to-energy process. The recyclable material that is sorted by residents is collected and delivered to the Daniel P. Thomas Material Recovery Facility in Yonkers, affectionately referred to as ?The MRF?, pronounced phonetically as ?The Murph?. On an average day, the facility receives 350 tons of recyclable material from the 36 Westchester municipalities that use it. Part of the effort to increase recycling rates throughout Westchester County entails making it as simple to recycle as possible. Thanks to a high-end optical scanner, which the MRF received as part of equipment retrofits back in 2011, many items that were destined for the garbage pail only a few years ago can now be recycled. Plastics stamped with recycling codes 1 through 7 should all be tossed in your green commingled bin. When it comes to paper, unless it?s a hard/soft cover book or soiled like a greasy pizza box (be sure to rip off and recycle any non-soiled sections), it probably belongs in the blue bin. By the same token, there are certain items the public should never place in their recycling bins as they pose a great risk to the MRF?s expensive and delicate machinery. Metal wire shirt hangers are a well-known offender as they get caught in the sorting mechanisms where they can jam up and damage them. The best method to recycle these hangers is to drop them back off at your dry cleaner, who will clean and reuse them. Just avoid bending them before handing them back over. Likewise, plastic shopping bags clog the machinery and do not belong in either the green or blue recycling bins. Never wrap your recyclables inside plastic bags, as once they reach the MRF workers have to stop the machinery to tear open the bags and release their contents. The bags are then discarded. On a recent educational group tour of the MRF, members of various local environmental organizations, including the author of this article, stood on a viewing platform observing the facility?s seamless and well-run process. As we stood watching the hum of activity below us, collection vehicles continuously pulled into bays, raising their truck beds and sliding their contents (either paper or commingled) onto the concrete ground. From that point forward, the material is pushed into stacks and swept onto conveyor belts for sorting. As paper runs across the conveyor belts, workers pick off cardboard to sort it from newsprint, office and glossy. Cardboard is especially prized as high demand in Asia has created a large market for it. Commingled containers are separated into plastic, glass, and metal with the help of various mechanisms such as large magnets which extract certain metals, and a ?shaker? which sorts glass by vibrating it through openings via its heavier weight. Separated plastics are compacted into large bales measuring approximately four feet by four feet ? the size of a wooden pallet ? and weighing one ton each. These bales are then sold off via a recyclable commodity market just like the markets for pork belly and oil. Clear plastics like water bottles can fetch as much as $600 per bale on the market. Colored (i.e. 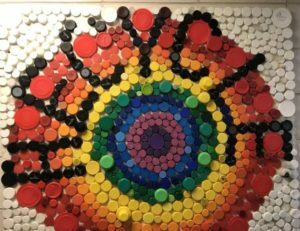 dyed) plastics like your red TIDE Pods container are less valuable because they can only be recycled into a darker colored plastic item which limits their recyclability potential. 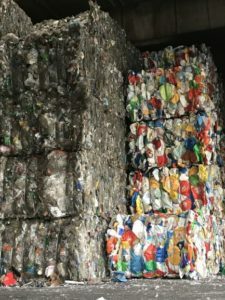 Given the efficiencies afforded by economies of scale, the MRF must process, sort, bale, and sell a baseline volume of recyclable material in order to remain fiscally viable. Sales of the processed recyclable material help defray the cost of the MRF?s operating expenses and the invaluable service it provides. In early 2018, China, historically the world?s largest importer of recyclable material, enacted a ?National Sword? policy to drastically limit imports of this waste. As a result, the recyclable commodity market was sent into a global recession. However, because Westchester County practices ?dual stream? recycling, our recyclables are better sorted with much less contamination than recyclables collected from communities with a ?single stream? policy. The introduction of the MRF?s state-of-the-art scanning and screening equipment in 2011 has further reduced contamination. Less contamination results in a superior product, so due to the appeal of our dual stream, optically scanned ?clean? recyclables, Westchester County product has maintained a steady demand on the domestic market. The fact that we can sell our product domestically, rather than relying on Asian markets, has helped insulate us from the worldwide slump in demand. 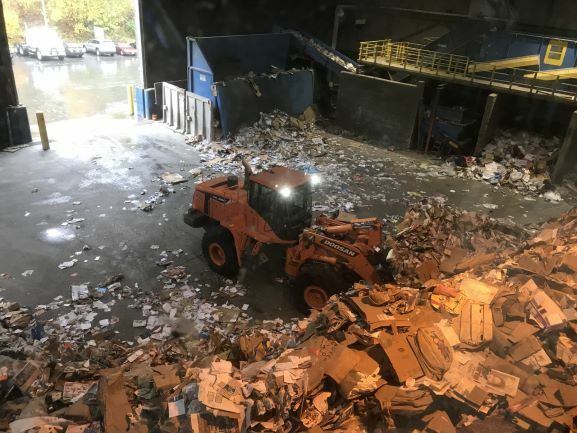 In fact, according to Lou Vettrone, Deputy Commissioner of Westchester?s Department of Environmental Facilities, the MRF is still selling every piece of recyclable material that it processes. As Rye residents, we can each do our part to keep the quality of our recyclables at a high level and to help the MRF boost recycling rates here in Westchester. Whether it be enhanced sorting on the home front or avoiding goods packaged in plastic that lacks a recycling code, the less waste that heads to the Peekskill incinerator the better for both our economics and the environment.